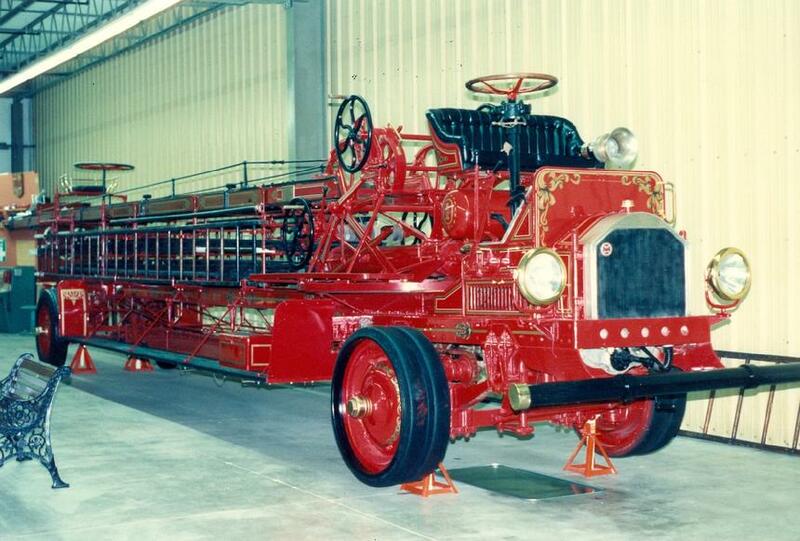 For the "sparks" among us: In February 1989, Chan Brainard snapped this photo of a 1920's Seagrave Model K aerial ladder truck with a rear steer feature, on display at the Hall of Flame Museum of fire apparatus in Phoenix, Arizona. 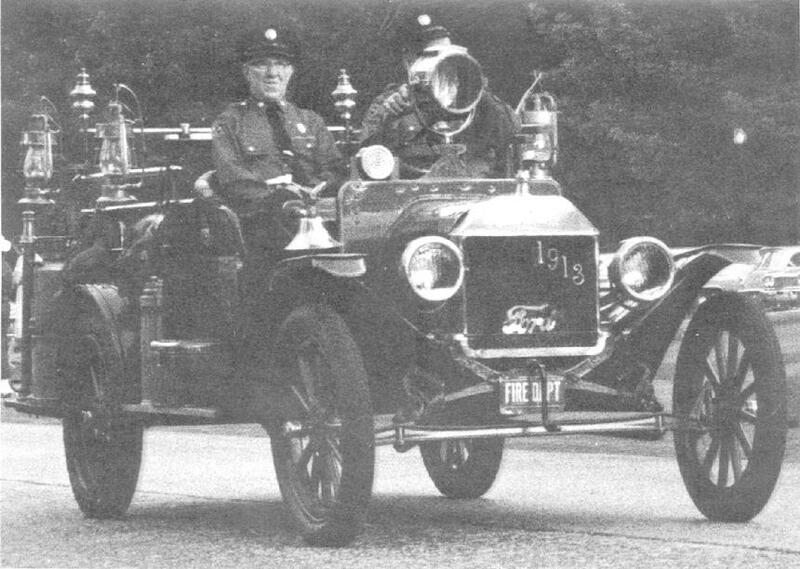 Straight-frame tiller trucks were fairly rare due to the fact that coordination between the front and rear drivers was an absolute must. The last ones were manufactured in the early 1930s. 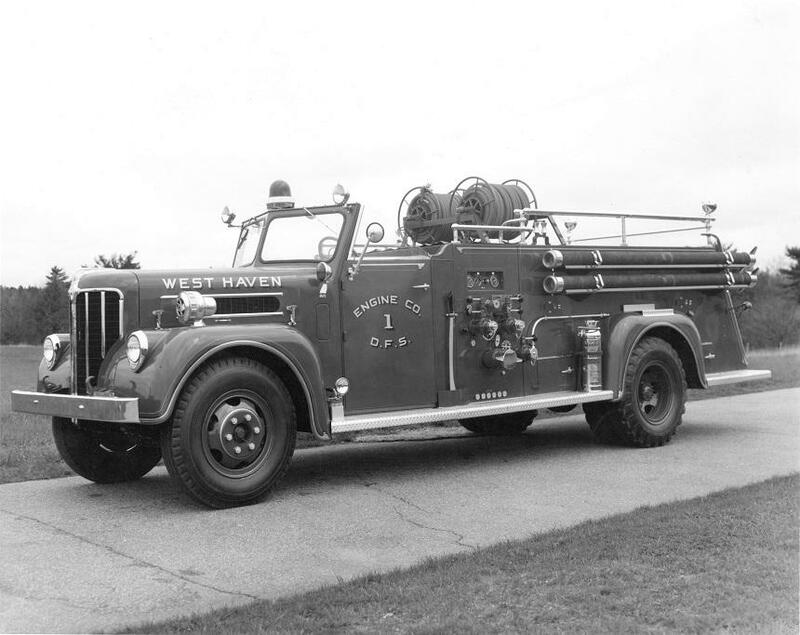 New Haven had a couple of these trucks, but a 1937 accident injured several firefighters responding to a call when the tillerman on Truck 4 inadvertently steered the entire rig out of control and it flipped over. 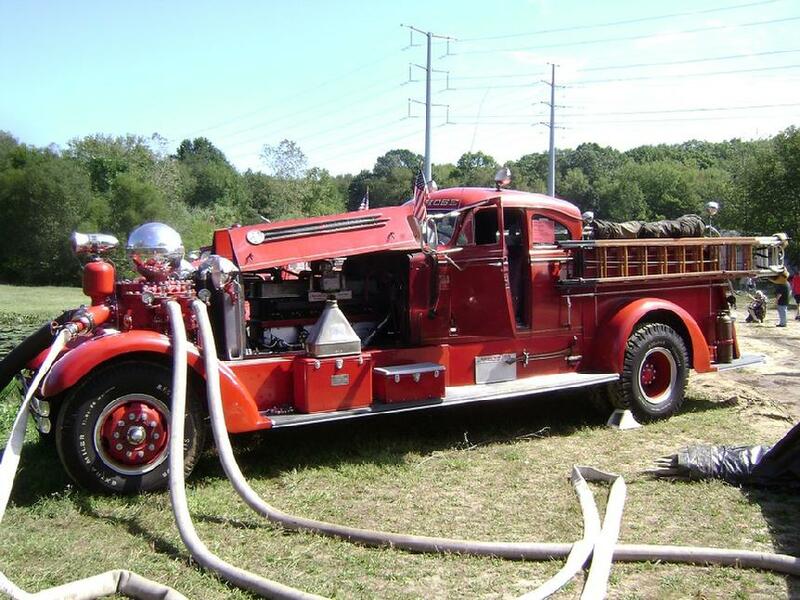 Tractor-trailer tiller aerial trucks, still manufactured, cannot be steered off course by the tillerman, but the direction of a straight-frame rig could be controlled by the operator of either the front or the rear steering wheel. September 10, 2011 - At the 40th Annual Engine 260 Muster in Milford, Shelton's 1938 Ahrens-Fox Model BT 1250 GPM pumper still going strong. 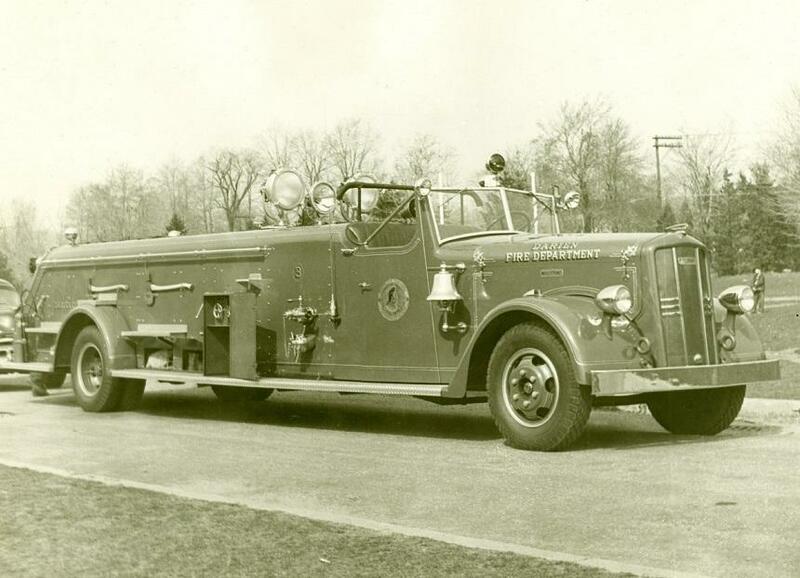 On March 1, 1975, this pumper drafted from the Housatonic River and supplied Hamden's Engine 3 (and four other pumpers!) during Shelton's infamous Sponge Rubber fire. 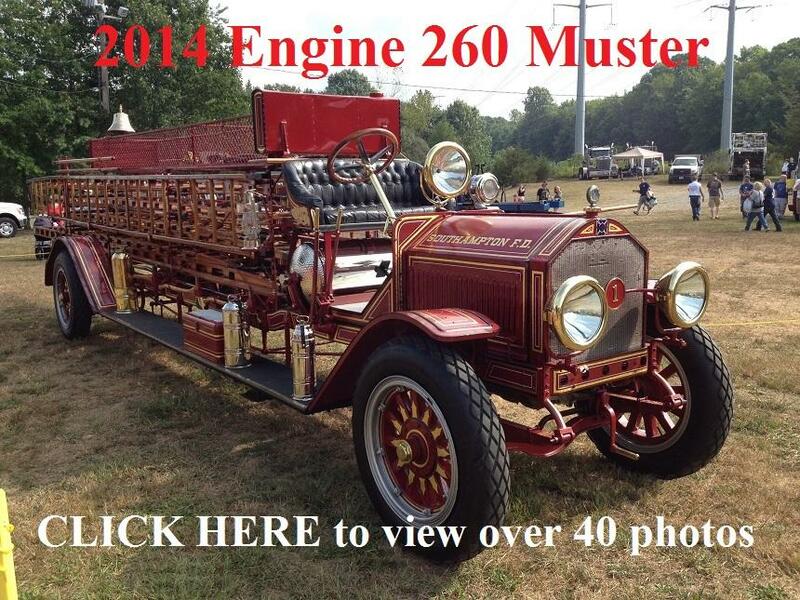 This meticulously restored 1926 Maxim 750 GPM pumper was featured at the 39th annual Engine 260 Muster held at Milford on Saturday, Sept. 11. In 1928, Hamden purchased one exactly like it. 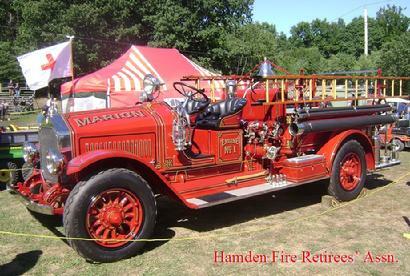 Hamden's engine served as Engine 3 for 24 years. CLICK to enlarge. 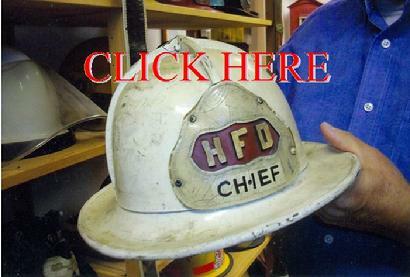 This is Chief Raymond C. Spencer's helmet, presented to Chan Brainard by former Chief V. Paul Leddy in 1993. 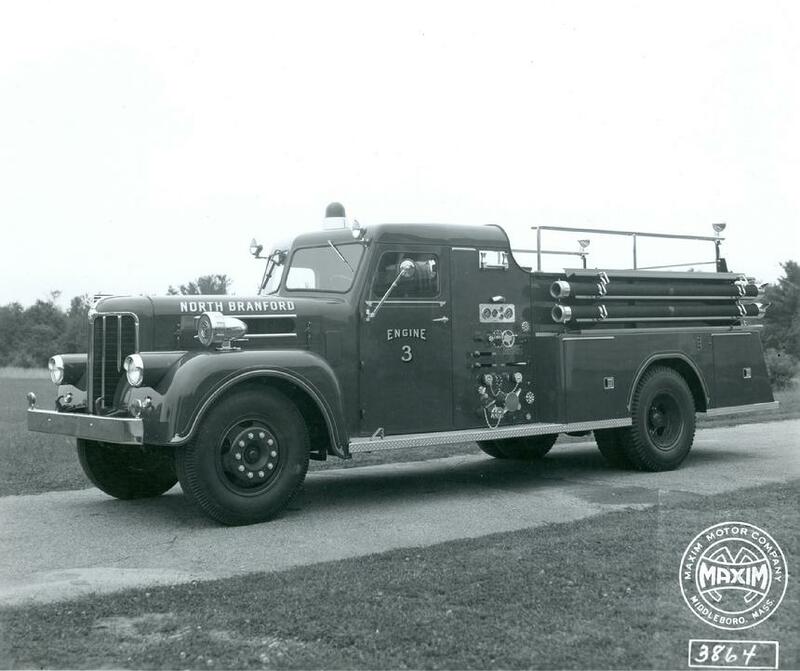 CLICK on the photo to view lots more photos of Chan Brainard's massive collection of fire department items.